The online shopping experience of your site has a basic effect on your eCommerce conversion rates. When customers feel valued by your brand and confident in your store, they are more likely to make a buying. 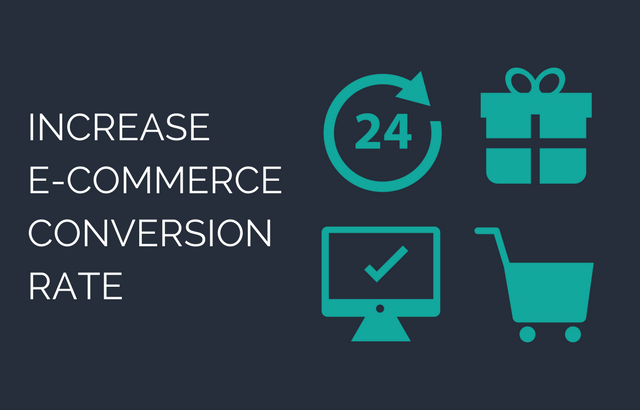 Here are three all-too-often overlooked ways to improve conversion rates for eCommerce and revenue big results for your online store. Consistent – Never changing, same color, same location throughout the site and same size. Single – Make sure you have one call to action and not a few, too many ecommerce sites have multiple calls to actions giving users too many options and causing confusion. Natural – This is important for both before the checkout page and on the checkout page – A call to action button has to stand out and be the first natural place a visitor turns to. Product Videos – Using product videos can increase product purchases by 144%! Design – Clear, functional conversion paths that are visible. Speed – Performance issues and slow loading pages will destroy your conversion rates. Optimize for speed and it will pay off in dividends. Accessibility – While it’s not as much of a priority in the US as overseas, the benefits of an accessible site go well beyond the customers with disabilities. Accessible sites also are also optimized for organic search. Social Media – 84% of online shoppers review at least one social media site before making a purchase. Increase your social media engagement. Reviews and Ratings – Product reviews and ratings provide critical information to shoppers so they need not leave your site. Mobile – Mobile conversions now account for over 50% of a few of our clients’ ecommerce site. If you’re not designed for optimal mobile use, you’re losing sales. Testimonials – Client testimonials are a must, providing feedback to newer shoppers that they can expect a superior experience with your organization. Product Recommendations – Customers sometimes don’t land on the ideal product page, so providing them related offers based on sales, like products, or customer recommendations can increase conversion rates. Security Badges – Show third-party review marks to let visitors know that you care about their safety and security. Payment Options – Offer PayPal, Stripe, Amazon payments, and all credit cards to ensure your visitor can pay the way they’d like. Check out – Test your checkout process to make sure it’s absolutely simple. Don’t ask for too much information, keep pages designed clearly, and monitor user behavior with advanced heat maps and analytics. Return Policy – 66% of consumers read return policies before making a purchase Tweet This! Make it fast, simple and within a time period, your customers will be comfortable with! Shipping – Costs and notifications are appreciated by buyers. 28% of online shoppers will abandon their cart if the shipping costs are too high Tweet This! Conclusion:- Remember that the strategies included are only some of the best ways to increase conversions in online stores. Marketing never actually stops, and there will always be the means to improve how you run your online business. Be on the lookout for these opportunities and don’t be afraid to try new stuff.